The federal government will fund the construction of the $6.2-billion headquarters campus at no cost to the UN, as well as cover annual operations and maintenance costs of the complex. “Canada has begun the process of signalling a new era for the United Nations by providing the organization with a new fully-funded central headquarters near downtown Toronto,” Trudeau said in a release. Additionally, if the UN moves to Toronto, the Canadian federal government will sign an agreement to provide the UN’s Regular Budget with a significant boost in annual funding that is 30 times larger than Canada’s most recent annual contribution of $76.23 million in 2019. 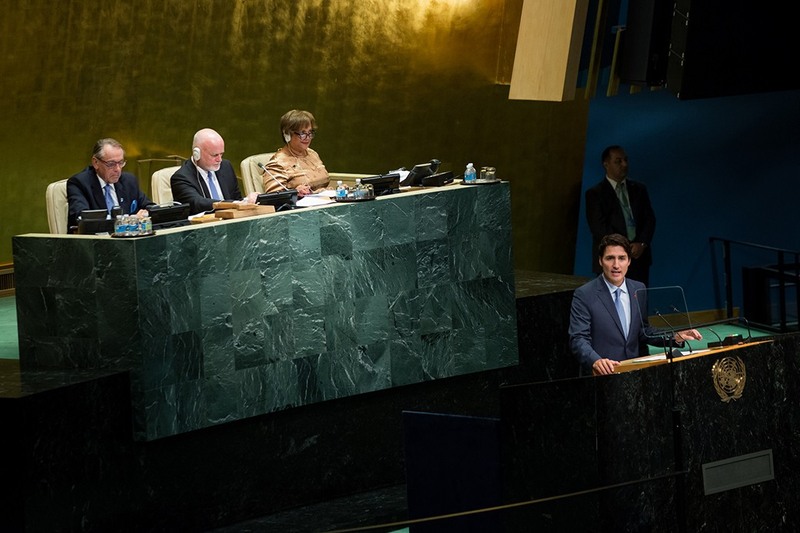 Trudeau will provide the UN with $2.8 billion annually, starting on the year the UN finalizes the agreement to move the 193-member intergovernmental organization’s headquarters to Canada’s largest city. Normally, member states contribute an amount that is based on the country’s capability to pay, with a formula that takes into account gross national income, debt, and per capita income. This plan proposed by Canada requires extensive consultation amongst the member nations, UN staff, and a vote in the General Assembly. A formal announcement on the details of the plan will be made at the existing UN headquarters in New York City later today. A media backgrounder indicates a 60-acre waterfront industrial parcel on the southwest corner of the Portlands will be redeveloped into a 4.5 million sq. ft. headquarters for over 16,000 employees with the UN Community that are currently working at the East River complex in NYC. These employees work for the UN’s specialized agencies, programmes, funds, affiliates, and missions. Not only will the campus provide vast office spaces, it will also provide significant common spaces and new meeting chambers for the General Assembly, Security Council, Economic and Social Council, Trusteeship Council, and various other conference rooms for both formal and informal settings. The headquarters entails a 600-ft-tall, 45-storey office tower that has a ‘beacon to the world’ architectural concept. Lower podium structures, up to 100 feet or seven storeys in height, are enclosed in glass and feature vast accessible green roofs that extend the natural landscape into the campus. 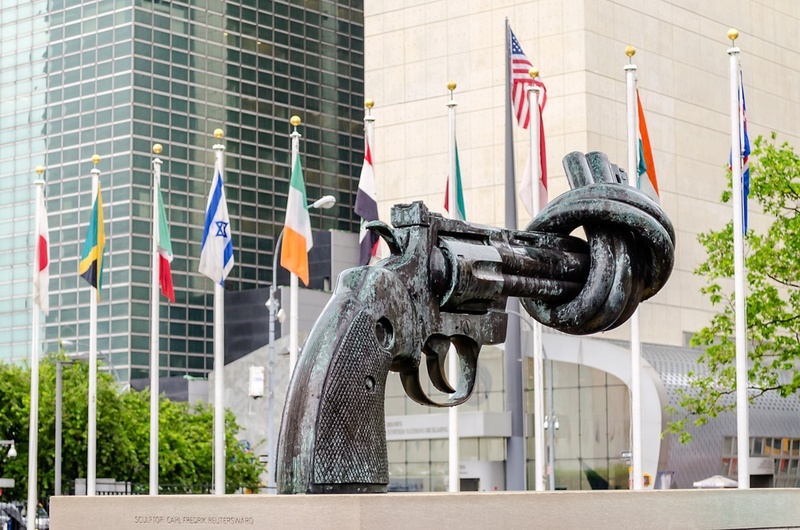 The UN’s private collections will also be relocated from the Dag Hammarskjöld Library at the NYC office to a new state-of-the-art library at the new headquarters. Amenities provided to staff and visitors will include a 1,000-seat international food court, a dozen restaurants for more intimate dining experiences and sit-down meetings, and a 400-bed short-term stay hotel. Additionally, for the organization’s leadership, the Secretary General’s offices will include a private residence that accommodates not only the leader but also their family. 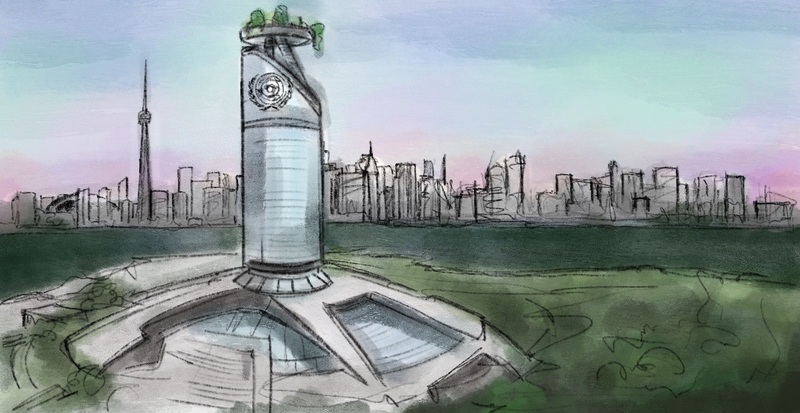 A helipad atop the tower provides the ability for UN officials and world leaders to be transported to the headquarters by helicopter, shortening trips from Toronto Pearson International Airport. A number of green design features — such as a district utility system, rainwater capture system for irrigation and to flush toilets, superior insulation, and passive heating and cooling — will earn the campus a LEED Platinum environmental certification. 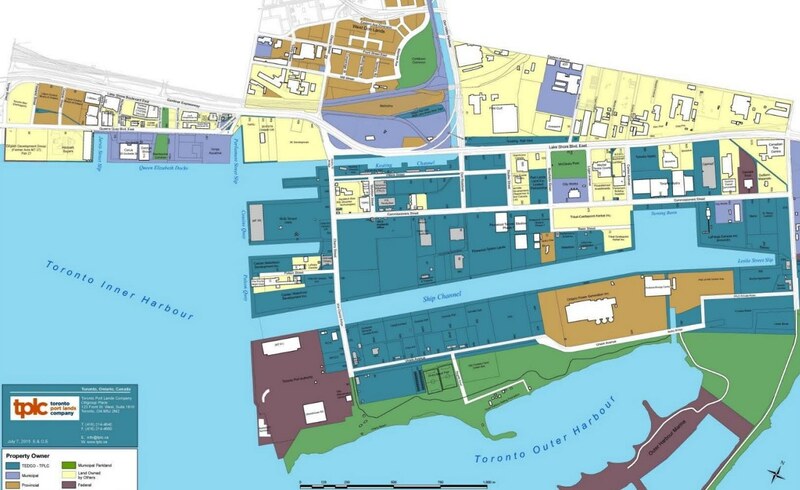 The potential exists to integrate some of the headquarters’ utilities and infrastructure with Google’s Sidewalk Labs, which could potentially expand beyond the Quayside district and include a large portion of the Portlands to border the UN headquarters. The Canadian government assumes the UN will retain ownership of its 1952-built, Rockefeller-funded, 18-acre NYC headquarters, which recently completed a $2-billion renovation. 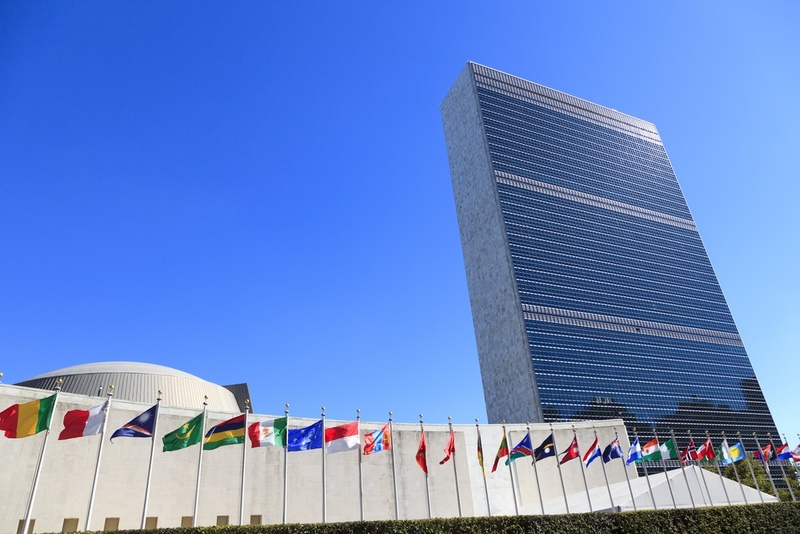 The UN could retain a small portion of its original headquarters office space after the move to Canada, and lease out the building’s remaining spaces to non-profit and non-governmental organizations or even corporations, providing the UN with a major new source of revenue to help support its programs. 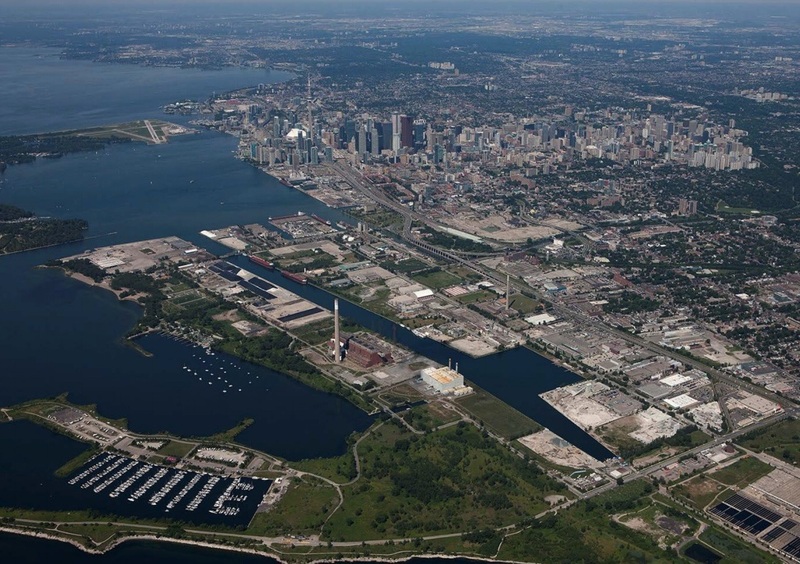 The entire headquarters site in Toronto will be fenced off, declared an international territory that will no longer belong to Canada, and exempt from property taxes. Ample plaza and green spaces between the campus buildings and the perimeter will provide a spacious security buffer. However, there will be a major publicly accessible component on the periphery of the headquarters site on the northeast corner, where a 180,000-sq-ft, state-of-the-art UN history museum and educational centre — named the Kofi Annan United Nations Museum — will be built. This will also be the staging area for regular guided tours of the campus. According to the backgrounder, the museum will pay homage to World War II, reminding visitors of the UN’s post-war purpose — the preeminent and powerful tool for promoting peace and security, providing a forum for the development of relations between nations, and fostering cooperation on economic, social, cultural, and humanitarian issues, as outlined in the UN Charter. 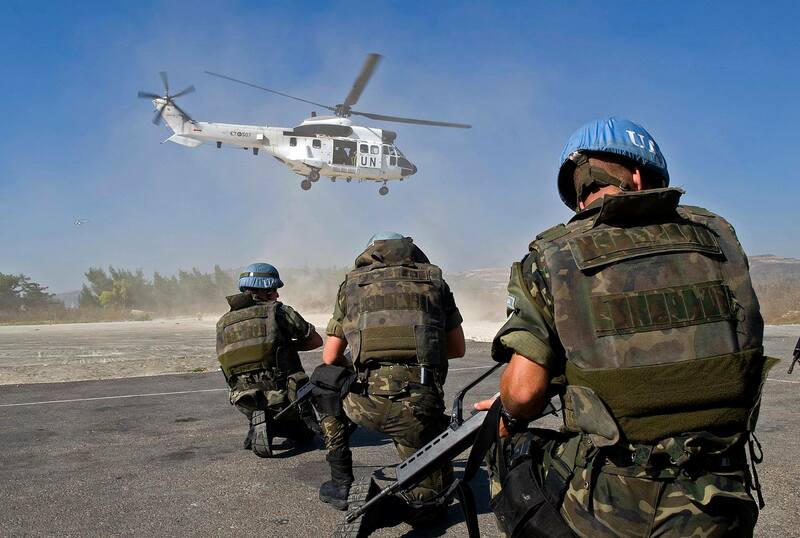 UN Peacekeeping Missions will be another showcase, along with educational components on the various specialized agencies and programmes, the 17 Sustainable Development Goals, the Universal Declaration of Human Rights, and the accelerating impact of climate change. The $371-million construction cost of the new museum is included in the overall $6.2 billion cost of the new campus, with the federal government also subsidizing the annual operating costs of the museum. It is anticipated the guided headquarters tours and museum visits combined could result in two million combined annual visitors upon opening. The federal government’s analysis shows the Greater Toronto Area (GTA) and the wider Golden Horseshoe region has the economic and population critical mass, housing stock, and transportation infrastructure to support the sudden influx of the UN headquarter’s presence. Toronto Pearson International Airport is Canada’s busiest airport, ranking amongst the top 30 busiest in the world in terms of number of aircrafts arriving and departing daily. It has a reach to over 180 destinations around the world, including numerous direct flights to nearly every country in Europe and links to many key destinations in Asia, the Caribbean, and South America. Its network to the United States and Mexico is also extensive, and domestic operations are also supplemented by the flights serving the nearby Billy Bishop Toronto City Airport. 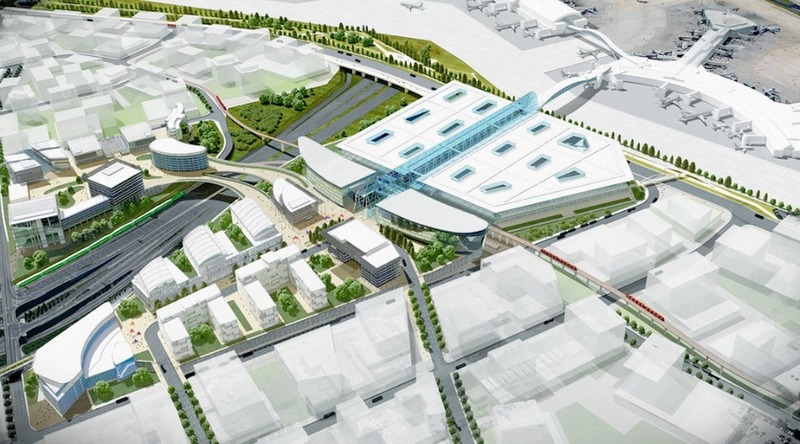 Furthermore, Pearson Airport’s capacity and reach continues to grow each year. The redundancies of Toronto’s extensive highway and arterial road network also allow for traffic changes and street closures for the route between Pearson Airport, hotels in downtown Toronto, and the UN headquarters, particularly for the annual General Assembly sessions when the leaders of 193 member nations converge to meet. When it comes to the short-term accommodations required for these major General Assembly sessions, Toronto has the hotel room capacity to accommodate the world leaders and their staff and security, with about 45,000 rooms within the GTA, including 26,000 rooms within over 100 hotels in the city of Toronto, of which 17,000 are located in the city centre. For those working in Toronto, whether they be member state ambassadors and their diplomatic staff, UN staff, or UN-affiliated staff, the federal government finds there is sufficient housing capacity in the GTA, specifically the capacity and flexibility to respond to UN housing demand — and already-existing housing challenges — and build new housing stock as required. 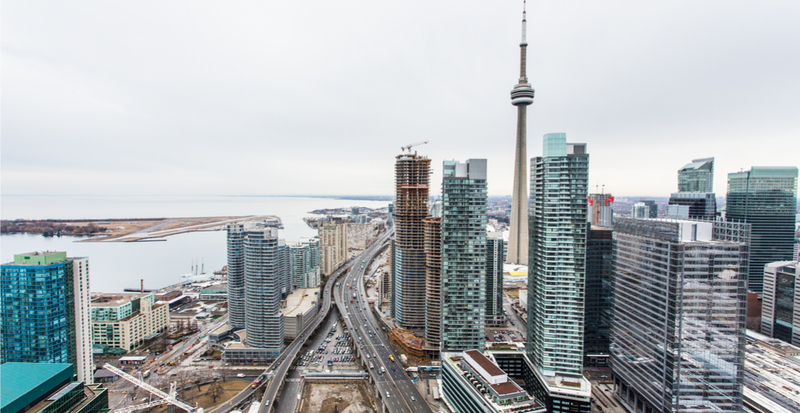 The federal government’s proposal also takes note of continuing efforts to improve Toronto’s transportation infrastructure, including new subway and LRT lines. However, work would have to accelerate on localized improvements to support the headquarters campus, specifically the widening of Cherry Street into a six-lane arterial road, including new fixed bridges across both Keating Channel and Ship Channel. Cherry Street has been identified as the main thoroughfare to reach the headquarters from Lake Shore Boulevard. Land expropriation to perform the road widening is not required as the municipal government owns the surrounding properties north of the federal government-owned site. In addition to improved local roads, new public transit connections would also have to be established, such as the extension of the streetcar network to reach the western sector of the Portlands. A joint Toronto Global Village Police Unit — working in collaboration with the UN Department for Safety and Security — will be established by the federal government to organize and provide the security needs for the UN headquarters and the UN community. The unit will be comprised of the RCMP, Toronto Police Service, York Regional Police, Peel Regional Police (where Pearson Airport is located), Canada Border Services Agency, Canadian Forces, and the Canadian Security Intelligence Service. The Canadian costs of the unit are estimated to be at approximately $100 million per year, with much of the costs expended towards the security and road closures for the General Assembly session involving world leaders. 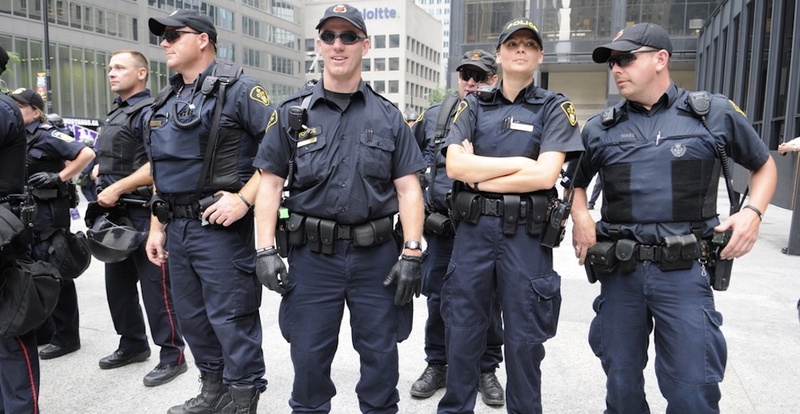 Costs incurred by the police forces of municipal governments will be largely reimbursed by the federal government. Currently, New York City, which oversees public school education in the city, covers the cost of providing public school education to all of the children of UN Community staff residing in the city. A similar program is expected to be launched in Toronto, however, it will be covered by the Ontario provincial government at a cost of about $83 million annually, based on the expectation that about 4,500 children of UN staff will require public schooling. All three levels of government — City of Toronto, provincial government, and federal government — are expected to create their own liaison offices for their respective relations with the diplomatic community at a combined cost of approximately $9 million annually. The federal government acknowledges some taxes for the governments will be foregone, such as property tax exemptions, personal income tax exemptions, sales tax exemptions, and even traffic and parking violation fines, but no fiscal estimate has been made at this time. Construction activity from the new headquarters is expected to generate approximately 9,000 jobs during the building phase. When the headquarters reaches completion, the UN Community will support over 26,000 full-time and part-time jobs, including 16,000 staff working directly for the organization. The GTA’s GDP will rise by an estimated $4.9 billion per year upon the full opening of the headquarters, which accounts for the direct and indirect spinoffs from the activities of the UN organization, staff, and visitors that support local businesses and jobs, such as entertainment, hotels, restaurants, retail, transportation, and services. 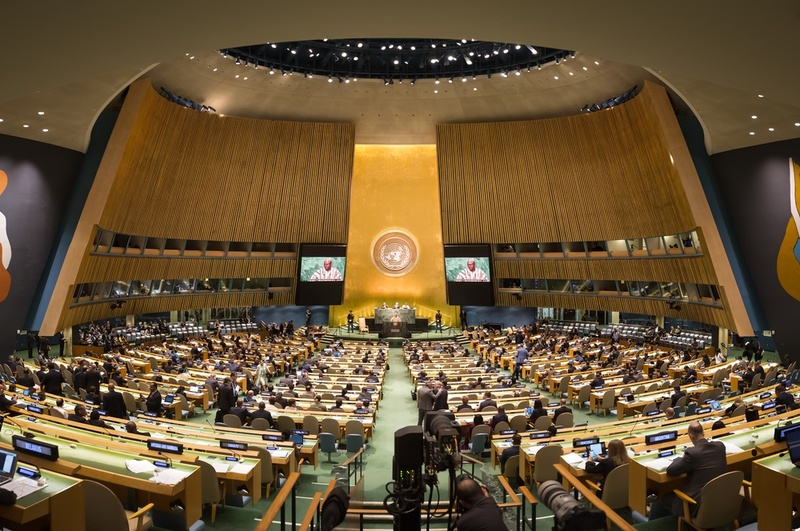 According to UN statistics, the UN issues about 31,000 accreditations for high-level visitors, such as high-ranking government officials and VIPs, per year to attend meetings and conferences. Moreover, over 200,000 temporary accreditations are issued annually for special events such as cultural events, non-governmental organization seminars, and Model United Nations conferences. Annual wages paid to UN Community workers residing in Canada are estimated be approximately $3.4 billion. Taking advantage of Canada’s new permanent role on the world’s centre stage, if the headquarters is relocated to Toronto, the federal government will provide new capital and operational investments to Canada’s top post-secondary political science and international relations programs, with the intended effect of helping foster new generations of Canadians into becoming the next global leaders. The selected universities are the University of Toronto, University of British Columbia, McGill University, and the University of Ottawa, which will see increased funding for their political science and international relations programs to better equip their students with a strong understanding of the UN system and pertinent global issues. Approximately $70 million is budgeted over the first five years of the program, which is supplemented by increased funding for Global Affairs Canada’s grants and initiatives, such as supporting Canadian non-governmental organizations, Model United Nations conferences, and intercultural exchange initiatives. Shortly after winning the 2015 federal election, Prime Minister Justin Trudeau declared “Canada is back” to mark his government’s new approach on international relations policy, vowing that the country would regain its traditionally “constructive and compassionate” approach to global affairs. Those words reverberated to Canada’s allies abroad, and it has now seemingly culminated with an ambitious proposal of universal proportions. Not only is Canada providing the UN with a new $6.2-billion home, the relocation plan comes with a promise to the UN of providing the organization with $2.8 billion in Canadian-supported annual funding, which will put Canada just behind the United States when both the all UN budgets, including peacekeeping, are accounted for. The bid may even bolster Canada’s contention in June 2020 against Norway and Ireland for a two-year seat on the Security Council, for the term between 2021 and 2022. Since returning to power, the federal Liberal government under Trudeau has renewed Canada’s standing as an active global player. 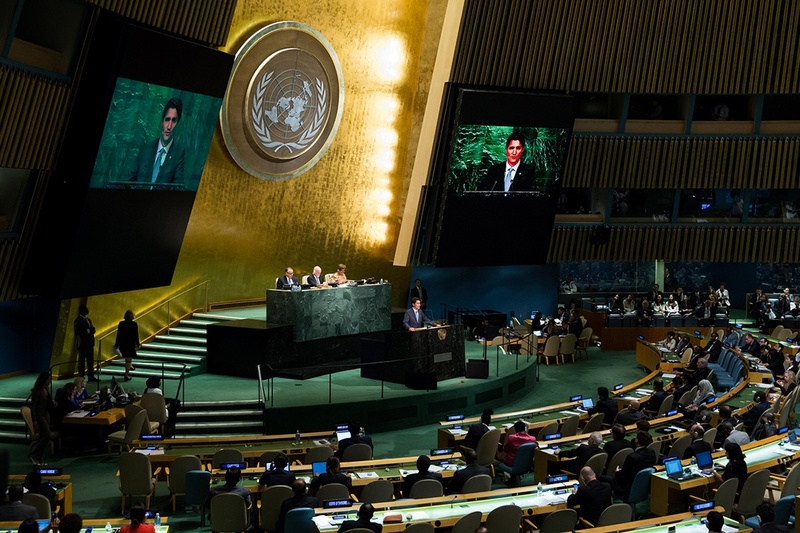 More recently, in December 2018, Canada played a major role in propelling the United Nations Global Compact for Safe, Orderly, and Regular Migration to help support safer migration amidst the ongoing refugee crisis. The migration agreement was signed by over 150 countries, although it also faced opposition within Canada, including from Conservative Party leader Andrew Scheer who raised concerns that that the compact could erase the country’s borders. “Canadians and Canadians alone should make decisions on who comes into our country, and under what circumstances,” said Scheer at the time. But a barn-burning speech made by Foreign Affairs Minister Chrystia Freeland in the House of Commons nearly two years ago set Canada’s new tone and bold approach, perhaps serving as an overture for the federal government’s now-public heightened aspirations and goals for the UN. “Now, it is clearly not our role to impose our values around the world. No one appointed us the world’s policeman. But it is our role to clearly stand for these rights both in Canada and abroad,” she said. In her speech, she evoked the profound legacy of Lester Pearson, the Canadian foreign diplomat who was instrumental to launching the UN’s first peacekeeping mission — helping de-escalate the 1956 Suez Crisis — and awarded a Nobel Peace Prize for this efforts. But it was Freeland’s concluding comments that truly set the stage. “Our job today is to preserve their achievement, and to build on it; to use the multilateral structures they created as the foundation for planetary accords and institutions fit for the new realities of this century,” she said.